SALISBURY, Md. – There’s really nothing more iconic or rather more Salisbury than a collaboration between the city zoo and Evolution Craft Brewery. Evo has officially launched their limited edition limited release Zoo Brews, which are a series of zoo themed craft beers. The first is the Pinocchio Pale Ale is named after one of the zoos fan favorite bears. The goal is to raise money for the zoo and showcase everything it has to offer. “It’s important for us to see that we’re a part of the community and this illustrates the partnerships and the collaborations that can happen within the community to make services like the zoo more readily accessible to residents,” explains Ralph Piland, Salisbury Zoo Director. 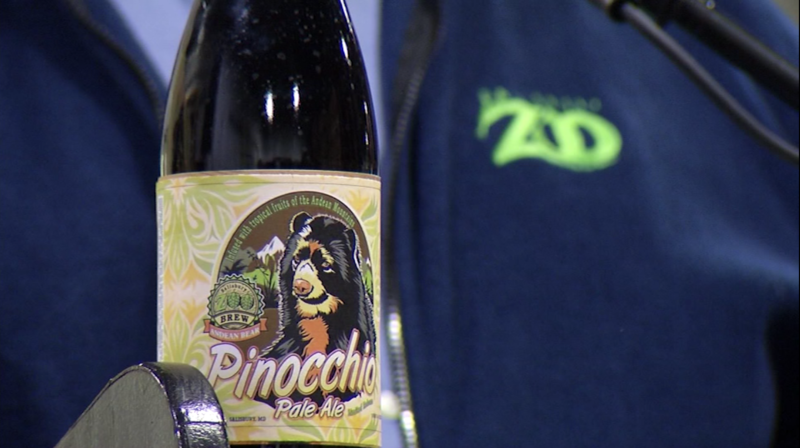 This first beer will be available to buy on April 13th at a special Salisbury Zoo event happening from 5 to 8 p.m. After that the pale ale will be on tap until supplies lasts and again all of the profits from the new beer will go to the Zoo.